Rare Gated Community. 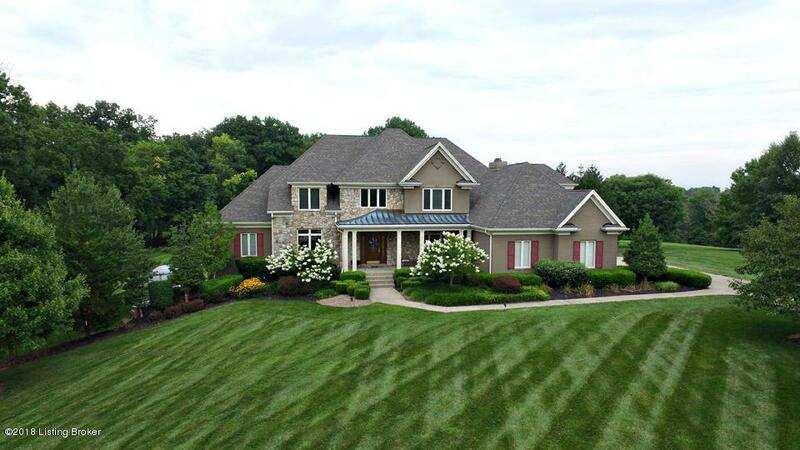 This Bridgemore Estates Executive home was custom built by Rich Carlson. Beautiful and comfortable! Quality details include gleaming hardwood floors on the main floor, granite kitchen counters, 5 burner gas cook top, large walk-in pantry, one 1/2 bath next to the outside entrance and mud room/laundry and one powder room located near the entertaining areas. Spacious 1st floor Master Suite with vaulted ceiling, beautiful view of the tree lined back yard. Separate walk-in closets in the hall between the bedroom and functional ceramic tile Master bath. The great views of the acreage continues from the two story great room, into the kitchen and hearth room. Not only do you have a covered front porch, but also a covered porch overlooking the heated in-ground pool.The second floor has three generous bedrooms each with their own full bathrooms and walk-in closets. The sixth bedroom (that is not ensuite) runs the entire width of the home and is currently being used as an office. From the walk-out basement you have direct access to the lower level patio. A peaceful place to relax or cookout on the open deck. There is an irrigation system for the front yard and it extends about 40 feet from the pool in the rear yard. Downstairs you will also find an expansive great room with a kitchenette, a safe room and the 5th bedroom with the 5th full bath. There is terrific storage in this home and the unfinished area has a double door where you could pull around a small boat, golf cart, motorcycles, equestrian gear, etc that you don't want to keep in the first level three car garage. So many options for today's active families! 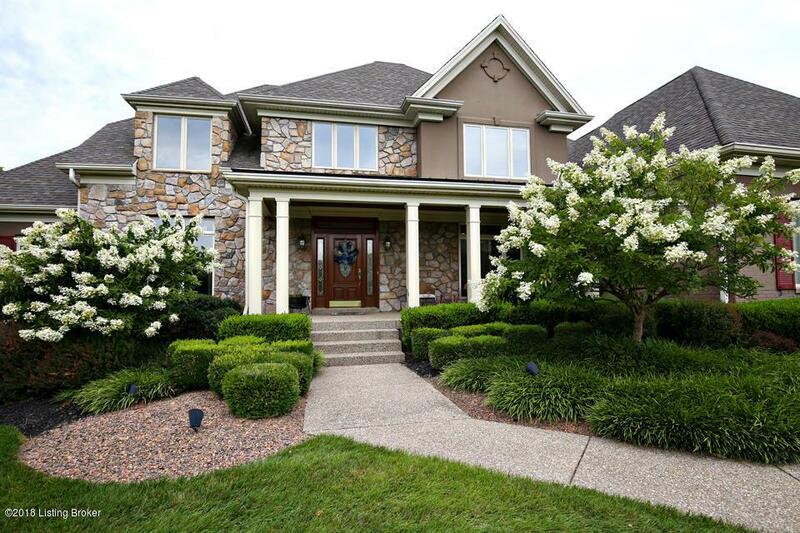 SELLER HAS KENTUCKY LICENSE IN ESCROW.